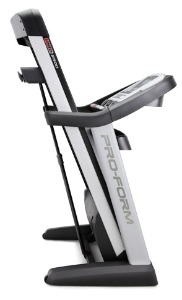 The feature-rich ProForm Pro 2500 treadmill has some fun gadgets such as a 7-inch Touch Screen Display and iFit Live™ technology, but it gets serious in its training tools with an innovative -3 degree decline feature, a big 3.5 chp motor, and new surface suspension system. The ProForm Pro 2500 treadmill has a 7" full color touch screen displaying your speed, time, distance, pulse, and calories burned. It also lets you navigate through the iFit Live options by simply touching the screen. The 1-Touch™ incline buttons let you change the incline/decline with one touch rather than scrolling through different levels. UPDATE: The ProForm Pro 2500 has been discontinued and replaced with the all new upgraded PRO series models. Check out the new PRO treadmills from ProForm including the 2000, 5000 and 9000, all solid machines for the price. 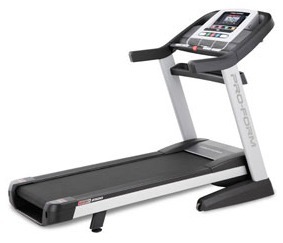 The ProForm Pro 2500 treadmill is part of the company’s new “Pro Series” of treadmills that feature a number of higher-end components such as commercial bearings and brushes, a more powerful motor with a lifetime warranty, a 20" x 60" 2-ply commercial-grade tread belt, the new FS2™ Full Surface Suspension, and an exciting decline/incline feature – the only ProForm that offers this winning combination. With the Pro Series, you also get an upgraded 5 years parts and 2 years labor warranty. Along with 30 workout apps, you get the iFit Live™ technology (a $129 value) already built-in. This interactive tool lets you access the internet via your home’s wireless network. You get workouts Powered by Google Maps™ to let you run virtually along trails and streets all over the world, plus train with Jillian Michaels, customize your own fitness program, manage your training profile online, and receive automatic workout downloads. This is where you will appreciate the decline, which will allow you to better enjoy the iFit running trails as the treadmill automatically raises and lowers the deck to match the terrain featured on the workout. 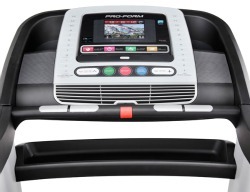 ProForm is stepping up in class by offering mid-priced treadmills in the $2000 to $3000 range so there is no history to compare this model with previous ones. The ProForm Pro 2500 treadmill is not the best choice when compared with competitor models that also sell for $2,400 retail; however, ProForm offers weekly sales with unbelievable deals – up to 50% or $1000 off higher priced treadmills. Keeping that in mind, we would not be surprised to see the Pro 2500 going on sale for under $1,500 soon. Since ICON Fitness is the world’s largest fitness equipment maker, they can install better components and shave their own profit margin to sell products at great prices. 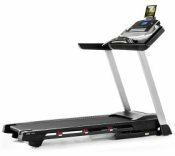 The huge price drop makes it more difficult to do a review; but we can say that you will get the best value if you wait until the ProForm Pro 2500 treadmill goes on sale, which will then make it a Good Buy.